A Great Adventure is just what you'll have when you come and visit Six Flags Great Adventure a combination of an amusement park and a wild Safari. 510 acres makes this the world's largest theme park in the world. The water park, however, is a separate gate. All of this can be found in the heart of New Jersey. It all began with the dream of one man. Sometimes, it only takes one dream to make millions more possible. Warner LeRoy was the man who wanted his own style of Walt Disney World in the Garden State. July 1, 1974 brought a new way to look at fun when Great Adventure opened to the public. Rides would open steadily throughout the years as LeRoy wanted the best for all to enjoy. The coasters are always the biggest hit. Since their first coaster, Big Fury, Great Adventure knew that having the newest and baddest coasters in the world was the way to stay ahead the game. With classic coasters such as Ultra Twister, Batman & Robin: The Chillier, and Rolling Thunder, these and many other coasters may not be there anymore, but they live in the memories of many who sat in their seats. Six Flags came to own the park in 1977, but that was just the beginning of a non stop thrill ride that lasts till this day. Every story sometimes has some sadness in it, and Great Adventure has had a few tears in its history. The Haunted Castle was a walk through attraction loved by many, but on the day of May 11, 1984, eight teenagers died when the Haunted Castle caught on fire and the teens were trapped inside. If that wasn't bad enough, another tragedy hit the park in 1987 as a lady fell to her death on the Lightnin' Loops roller coaster. Turning tragedies into sliver linings wasn't always an easy thing to do, but Great Adventure always liked to prove people wrong. New thrills came to the park year after year. Hurricane Harbor stormed into as a separate gate admission in 2000. The next few years saw new classic rides appear in the skyline such as Nitro and Kingda Ka, the tallest roller coaster in the world. Medusa was included in that list until she got a personality complex, and quickly changed her name to Bizarro. She received a new paint scheme and other special effects. 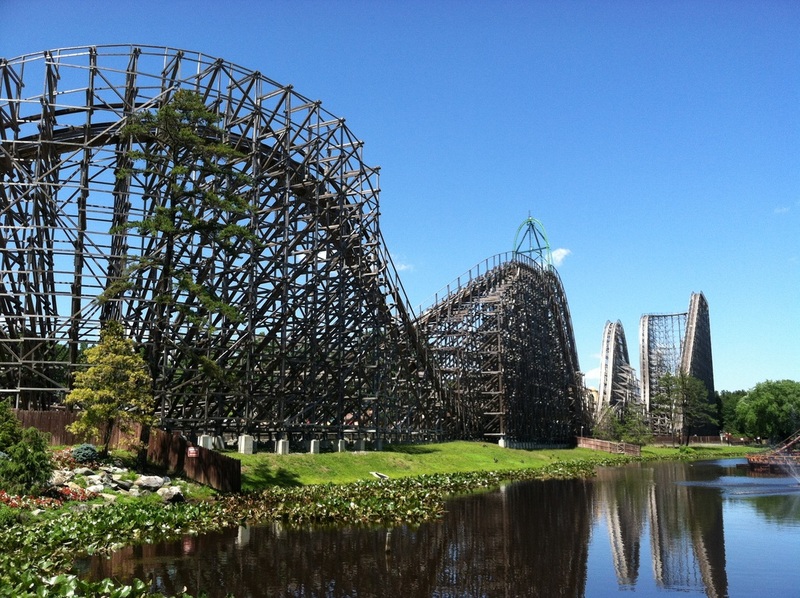 By far the coaster most people come to ride is El Toro, a wooden masterpiece created by Intamin. Kingda Ka got a new play mate in 2014 when Zumanjaro: Drop of Doom was built inside the original structure of Kingda Ka. Zumanjaro is a drop ride that slowly takes you up to the top and then suddenly drops you a towering 415 feet to the ground. It would be easy to say that the history of Great Adventure would be like the roller coasters they built. There had been plenty of ups and down, but there is always so much more as they have an annual Fright Fest event in the fall. You may be scared of how much fun you'll have, but it always promises to be one Great Adventure for everyone.